A quality 9U 450mm Deep Wall Mount Data Cabinet or wall box with standard 19 inch profiles. Steel construction, pre-assembled for fast installation. The inclusion of a wall mounting bracket allows installation by one person. 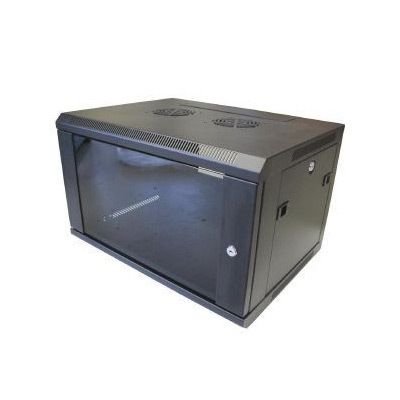 This 9U 450mm deep wall mount data cabinet with a lockable front door and side panels is suitable for housing Data, Telecomm, Networking, Electronic and CCTV equipment requiring or suitable for 19” rack mounting. This cabinet is an industry standard 600mm wide with standard 19 inch profiles. A full range of power distribution units and other cabinet accessories are available to suit this cabinet.